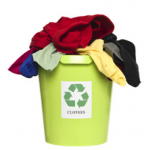 All of us have used clothing that would find a better use than simply putting it out with the trash. Acceptable textiles can include clothing (shirts, dresses, pajamas, ties, etc. ), belts, shoes, blankets, comforters, pillows, quilts, table cloths, stuffed animals and even pet beds. 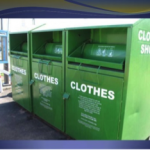 These materials need to be clean and odor free, so no oily rags or other materials can be included that might be difficult to recycle or that would contaminate other clothing. Local organizations such as churches and civic groups often hold events to collect clothing. Check the papers and listings for opportunities.